With the release of WOW 8.1.5, the Brawler’s Guild has returned in this patch with new bosses, a murder mystery questline and new rewards. It is the great chance to gain WOW Bruce mount from the Brawler’s Guild if you want to ride it around! Where & how to enter WOW Brawler’s Guild? New Brawler’s Guild has arrived with the patch WOW 8.1.5, featuring new additions, location, quest line, bosses, rewards and more. To enter the Brawler’s Guild, head to Brawl’gar Arena in Orgrimmar or Bizmo’s Brawlpub in the Deeprun Tram. You need to reach level 120 and own the Blood-Soaked Invitation or Brawler’s Pass. If you do not have a Blood-Soaked Invitation, you may obtain it from enemies of the opposite faction in Zandalar and Kul Tiras as a drop. Sometimes you may also buy them from the new vendor A. Shady in Orgrimmar and Stormwind. You will win new rewards if you could prove your mettle in the Brawler’s Guild, including the guild’s chompiest contender as a mount, WOW Bruce mount. As one WOW Brawler’s Guild participant, you are also able to earn WOW Brawler’s Gold and spend the gold to unlock more challenges, shared bonuses other arena contenders and more. The vendor can be found in Brawl’gar Arena or Ulaani in Bizmo’s Brawlpub. Hope you could win WOW Bruce mount if you want it. 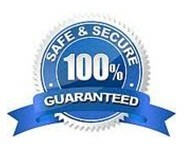 Moreover, MMORPGPowerlevel offers cheap wow gold, wow power leveling with 100% security all the time.